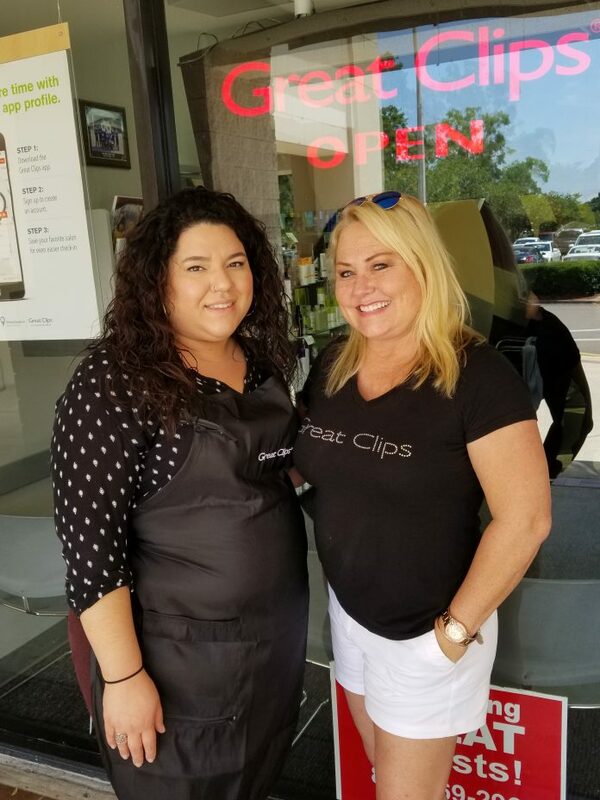 Great Clips Owner Lea Orchard and Manager Nelie Derobertis. 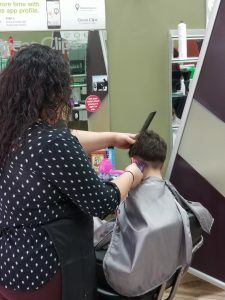 Just ask the busy mom with three kids, ages 3, 6, and 8, why she comes to Great Clips in the Fresh Market plaza in Carrollwood. Her answer mirrors the owner’s response about why she loves this family-owned salon. Andrea’s youngest p uts a Dum Dum in his mouth before jumping up on a booster seat to get his haircut. Salon Owner Lea Orchard has heard this statement many times since opening this Great Clips location 16 years ago this month. It’s what separates Great Clips from the rest of the wallet-friendly hair cutting salons. In 2002, Great Clips didn’t have the nationwide name recognition it has today. 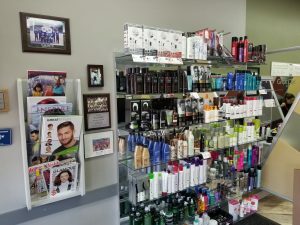 Lea was one of the very first franchise owners to open her flagship salon in Tampa in the Palms of Carrollwood location at Fletcher and Dale Mabry. She waited patiently for new customers to discover that she didn’t sell hair clips, and once they did, they were hooked on the friendly banter and welcoming environment to everyone in the family. Lea opened her seventh location in Wesley Chapel in December. She is proud that she is one hundred percent hands-on with her business. She makes frequent visits to each of her Great Clips locations. Stylists stay up to date on the newest trends in hair. These include the hard-part cut for men, textured cuts, layers with movement, and lobs (long bobs) for the ladies. Kids have been coming in requesting the haircuts of the World Cup players. Stylists keep detailed notes in the computer for every client. 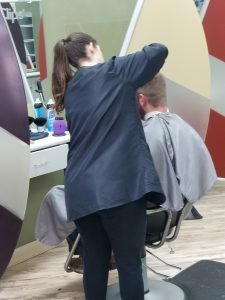 As soon as you sit in the chair and the cape is draped and snapped closed, the stylist can recap what was done before and ask what you’d like this time. Help from technology is welcomed at Great Clips – whether you want to pull up a picture of your desired haircut to show your stylist, or would like to save time and check in before your arrival. The Great Clips Online Check-In App allows guests to check-in on their cell phones and add their name to the wait list, ensuring a much shorter wait when they arrive. 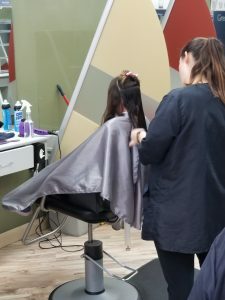 Lea’s Great Clips salons offer $15 haircuts for adults and $13 haircuts for children and seniors. They also offer $5 beard trims, which are quite popular these days. 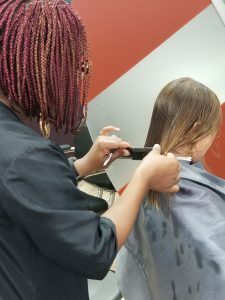 To celebrate the start of summer, local Great Clips salons are having the annual Great Haircut Sale from June 6-10 with all haircuts at an even lower price of just $7.99! Whether it’s sponsoring little league, girls’ softball, USF Cuts for Cancer, or live theater tickets for the military, Lea is all about giving back to the community. Hours for all locations are Monday through Friday 9am to 9pm, Saturday 9am – 6pm, and Sunday 10am to 5pm. Next articleHappy Birthday United States … and Pass Me Another Hotdog!